Pfeiffer Vacuum has received another major order for turbopumps and turbo pumping stations from CERN, the Geneva-based European Organization for Nuclear Research. CERN’s Large Hadron Collider (LHC), which has a circumference of 27 km, is the world’s largest and most powerful particle accelerator. The particle accelerator is used for colliding proton and ion beams at close to the speed of light. The accelerated particles travel in beam lines, which require ultra-high vacuum (UHV) conditions. These beam lines are pre-evacuated with turbo pumping stations. Turbopumps with a very high compression ratio for light gases are then responsible for generating the insulation vacuum which is necessary for the operation of the superconducting magnets at a temperature of -271° C.
CERN and Pfeiffer Vacuum have had a long-standing partnership. Arthur Pfeiffer GmbH developed the turbopump in 1958 with the objective of generating a hydrocarbon-free vacuum. 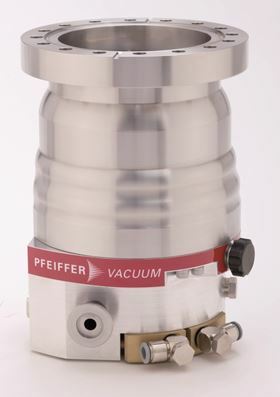 At the time, CERN was one of the first customers to buy this technology and has continued to be a major user of Pfeiffer Vacuum products to this day. The European X-Ray Free-Electron Laser (European XFEL) is a research facility that generates ultrashort X-ray flashes: 27,000 times per second. German vacuum pump specialist Pfeiffer Vacuum has opened a new service centre in Malaysia to support semiconductor and coating customers.